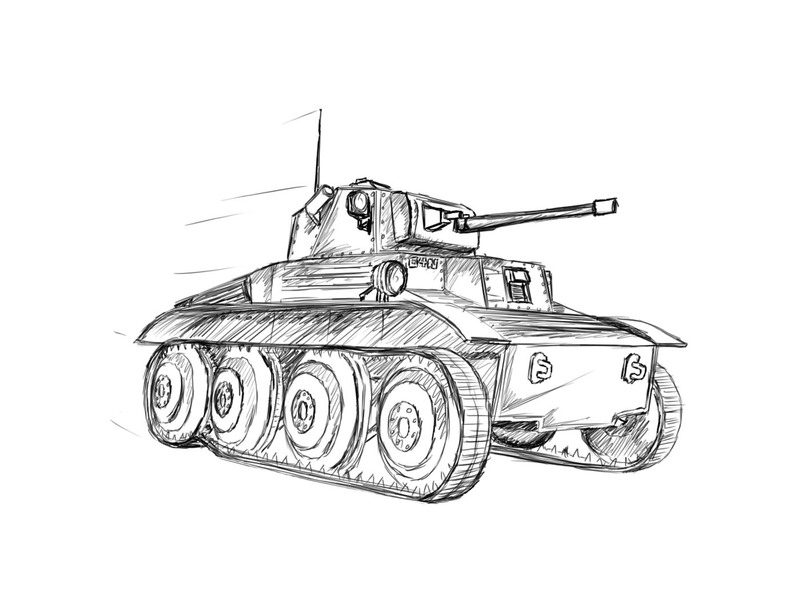 How to draw a Tetrarch! The Tetrarch has quite a special place in a lot of our WoT Careers- for me, not so much. But also- it's a pretty interesting tank, and a lot of others think it's just cutsy... so here we go! I went for a close frontal angle with some added FOV, but still realistic, nothing fish-eye. 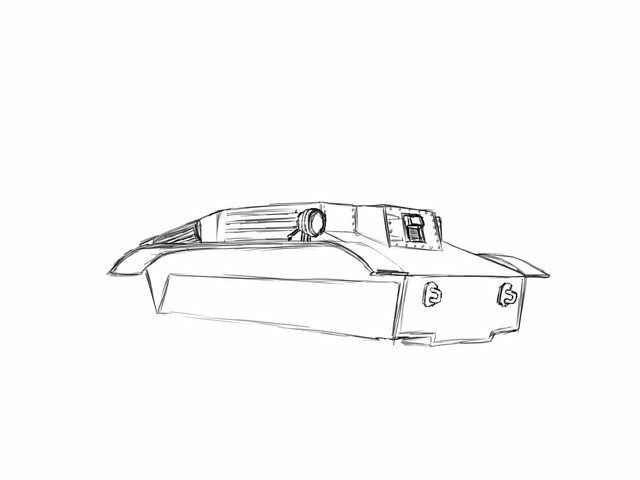 It was actually kind of tough to draw the basic shape, mostly because of the storage boxes in the reference(I wanted to draw my Tetrarch without them) and the sloped, declined rear. Stupid Imgur screwed up the image order. 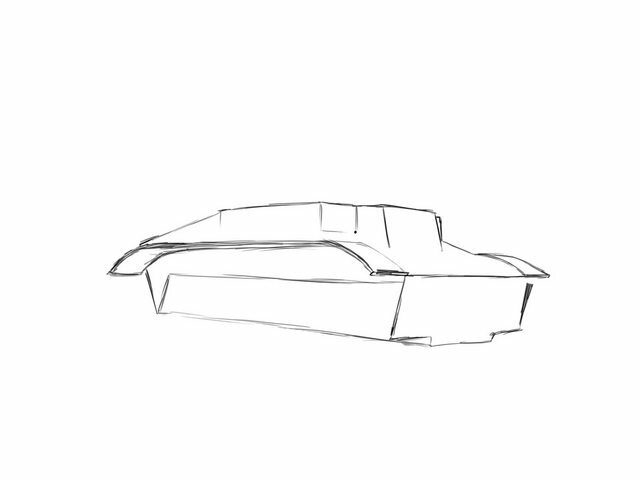 But here's the first one- basic shape of the hull. Here's the hull with some details added. 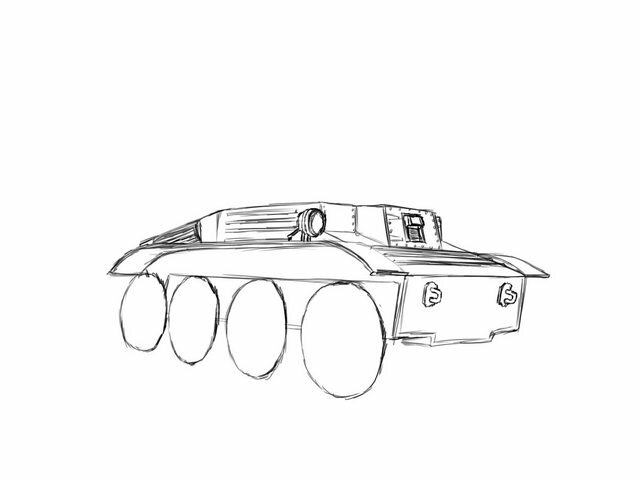 The Tet definitely has a different aesthetic from other tanks- kinda just riveted together and really light and cheap... so I gotta reflect that in my sketchy, artsy detail. I think it came off decent as I went along. EASY TO ADD WHEELS! YES! Here's the running gear mostly finished. I decided to do the track completely tensed, with it slacked under the rear wheel as seen in a photo when I was google imaging the thing. This would occur if the tetratrch was driven backwards and immediately parked, due to the light, very small track links and the rear drive. Basic shape of the turret. Actually wasn't difficult to just keep trying for something that looks good- only needed like... 3 or 4 lines. Here's the turret detail and gun added. Was thinking of doing the gun and turret in separate steps, but they both have so little to them that I didn't think it would matter. And here's the final image. Added shading and some "whoosh" lines to make it look like it was moving. Kinda contradicts the track slack thing I did... lol. Anyways, hope it was enjoyable for all you Tetrarch fans out there, this tank was requested TONS of times and it was definitely overdue for one of these guides. I have something pretty impressive planned for the next one- my hope is to either get it done soon enough to post tonight, or post it tomorrow tonight, but it'll be pretty epic. 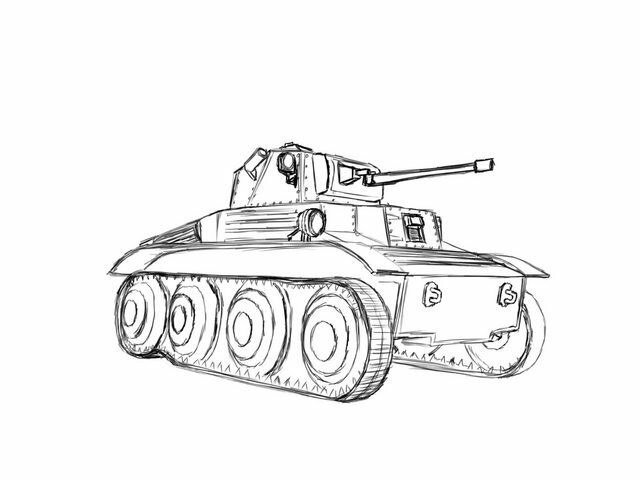 How do you pick what tank to draw next? 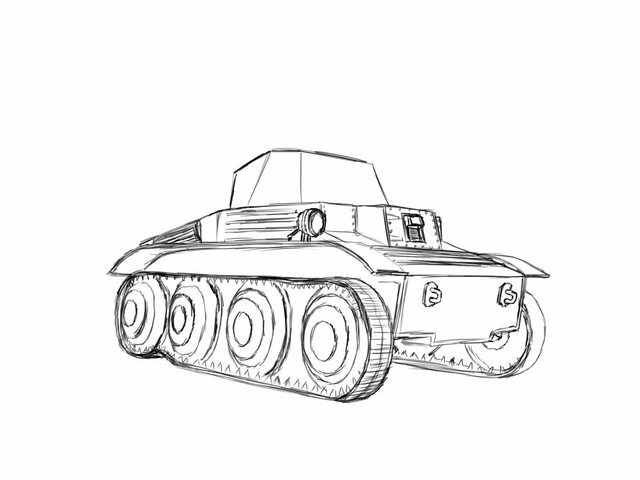 If left to my own devices, I'll usually just draw whatever tank I think is cool. In fact, I'm trying to see if I can draw the Neubaufahrzeug soon, and maybe the MBT-70, but there's not too many reference images of those tanks... the details might be hard to nail down. But the request list is so long that I want to try keeping up with it... there's a lot of cool tanks in the list too, and it's a cool challenge to try drawing something that someone else wants to see. Would you please draw the M4A3E8 "Easy Eight"? I like seeing a tetrarch, its a shame I could not get one myself except via alt in the reroll program. I think the SU-101 would be a cool looking tank to have drawn.